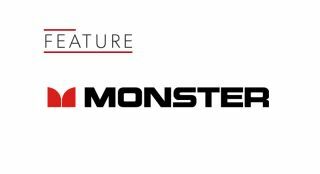 Monster creates “the biggest audio system in the world” - it sounds huge | What Hi-Fi? We travel to VfL Wolfsburg to experience the Bundesliga club’s new in-stadium sound system and speak to Noel Lee, the man behind it. It’s probably fair to say a poor atmosphere in a German football stadium already equates to something like being the world’s skintest millionaire. It is all very much relative. Which only serves to put the experience facilitated by Monster at VfL Wolfsburg’s Volkswagen Arena into proper context. Fifty subwoofers and as many speaker arrays, each meticulously tuned by Monster founder and CEO Noel Lee, deliver a stadium performance unlike any we’ve previously heard. In synergy with a Philips-led light show, it’s difficult to imagine any player feeling ambivalent as he steps onto the turf surrounded by such a pre-match spectacle. Indeed, it has us imagining what the anthems of our own lowly pet clubs might sound like when rendered like this. "The biggest system in the world"
Lee describes it as “the biggest audio system in the world, tuned by an audio engineer to audiophile standards”. But the journey began in Houston’s NRG Stadium, where the celebrated Californian hi-fi engineer was able to iron out some of the creases inherent in creating a sound-system for so large an auditorium. “Let’s look at the issues: first you have terrible dispersion around the stadium, it’s a jumbled mess,” he tells us. “If you have multiple systems they interfere with each other, if you have fewer systems, fewer speakers, you can get a good sound centre and front stage - and that’s it. The object is to get great sound anywhere in the stadium. You have a home system or car audio system: you can take that and multiply it by a hundred times, trying to get good sound. Indeed, by the time we get to experience the full effect of Lee’s system, the Volkswagen Arena is already pretty much full of Wolfsburg and VfL Borussia Mönchengladbach fans, and the slap-back echo (likely also masked by almost 25,000 sets of lungs chanting to stave off the icy cold) is next-to inaudible. What we do feel is the rumble of those subs, complemented by a startling level of clarity unrivalled by the often quite unintelligible PA systems we’ve faced on many an away-day. But it isn’t all a case of problem-solving, as Lee explains the equal strengths of so unique a kind of workspace. “It’s an open stadium, but it adds to the cavernous effect, like how you play music in a cathedral. And the benefits will also stretch further than to the ears of football fans. “Usually when you’re playing a concert in a stadium, the sound is really harsh up front and by the time it gets to the seats it’s all kinds of contorted,” Lee tells us. “So there’s no way to get a good acoustic sound in a concert if you’re playing in a stadium, like you would in Carnegie Hall. But here we designed a system around stadium sound - it’s an audio and music experience unlike any other. So Wolfsburg certainly has the first such audio system, but we’re reliably told there will be more arriving around Europe soon enough. Is it worth planning a trip to hear it for yourself? Most certainly, yes. Worth waiting until temperatures rise a little above freezing? We’ll tell you when we get the feeling back in our toes.